You may have heard of the acronym PSTN. It stands for Public Switched Telephone Network, and it’s the type of telephone service you’ve had in your home and place of work since you were a kid. It has to do with all of those copper wires in your walls, and that big box your phones are connected to that you are probably still paying off! Well, guess what? That technology is becoming a thing of the past. Installing and maintaining copper lines is no longer cost effective for the big telephone providers. That’s why they are all moving to VoIP (Voice Over Internet Protocol). 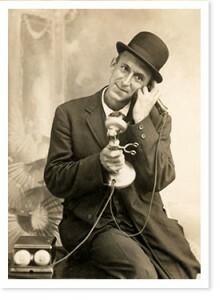 So where are we today in this transition, and where is the world going with VoIP and cloud-based phone service? Let’s explore. 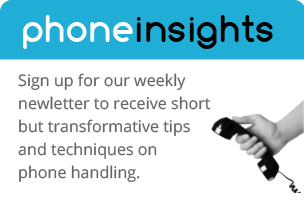 Until recently, telecommunications companies have always relied on what is commonly referred to as ‘circuit-switched technology’ to transport telephone calls. Circuit-switched technology establishes a ‘permanent’ connection between the calling and the receiving parties for the duration of the call. The problem with this technology though is that it requires a significant amount of bandwidth dedicated to each call, and it can only support certain types of calls, like telephone to telephone. Furthermore, the hardware needed to run circuit-switched networks is very expensive due to the fact that voice and data services must be carried by different wires and thus need separate hardware to accommodate the two types of traffic. While the method of how phone calls get delivered to and from your office may not seem all that important to you right now, the problem with carriers maintaining high infrastructure costs is that those costs generally get passed on to you in the form of high per minute and/or monthly fees. Remember paying 10 cents per minute or more for long distance? How about paying 50 cents or more for 800 service? Remember WATS lines and what those used to cost? Now aren’t you glad you aren’t paying those ridiculous fees anymore? The reason you are paying less now is because those high infrastructure costs forced the telephone companies to resort to using parts of the Internet infrastructure to connect with the PSTN. 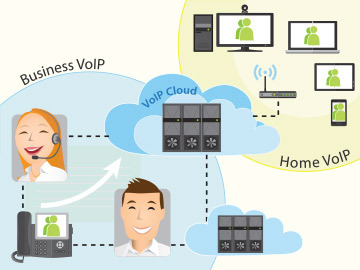 This technology is known as VoIP, and it refers to calls that traverse networks using Internet Protocol (IP). 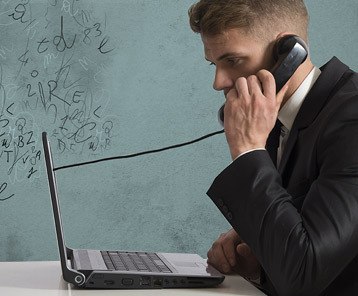 While many assume that VoIP calls are less reliable, that is simply not the case. On the contrary, most telecommunications companies use privately managed data networks to transport their calls via IP — which means your calls aren’t fighting for bandwidth with people in your town that are streaming music all day long! The way it works with VoIP is that the voice stream is broken down into packets, compressed, and then sent toward their final destination via optimized routes (as opposed to establishing a ‘permanent’ connection for the duration of the call). The routes used for the packets are intelligently selected by a hardware ‘traffic cop’ so to speak, that looks at the congestion on the network in real-time and then selects the best paths in which to send packets. It’s similar to the way Google Maps determines the quickest way to your destination, and then constantly updates you along the way as things change. At the receiving end of the call, those packets are then reassembled, decompressed, and converted back into a voice stream so that it’s clear for the receiving party. Over the years, VoIP phone providers have drastically improved the hardware and software used in VoIP calls so that the quality of the call is equal to (if not better) than that of circuit-switched technology. In fact, you can even purchase high-definition handsets that go far beyond the frequency range of a standard phone call, and sound more like an in-person conversation. In addition to the improved call quality, VoIP phones now offer many new and exciting features that were previously only available on expensive phone systems. Features such as three-way calling, auto attendant, find-me/follow-me, voicemail transcription, and so much more. It’s truly amazing to see all of the new bells and whistles getting released on a daily basis from leading VoIP providers. Another great benefit of moving to VoIP is that you no longer need that big, bulky and expensive phone system sitting in your electrical closet. VoIP providers will replace your premise based phone system (or PBX), with a cloud-based service and all you will need to purchase are the handsets (which are a fraction of the cost). So on top of all of the great new functionality you will receive via VoIP service, you will save money as well! So if you are interested in getting ahead of the curve and making the move to a VoIP provider, of course we encourage you to do so. In fact, if you need any help in answering questions about how it all works, what costs are associated, etc., feel free to contact us at www.connectmevoice.com, or call (800) 743-1208. We hope this article helped you better understand where telecommunications is going with VoIP, while also setting aside any fears you may have about your calls going over the Internet. The movement is here to stay, and the technology offers amazing functionality at a fraction of the price. So enjoy the savings and increased functionality VoIP has to offer – it’s bound to make your business run more efficiently! Scott is a technology industry veteran with more than 25 years of experience in IT, computer programming and specialized expertise in telephony systems. He is responsible for leading and directing strategy, growth and overall operations of Connect Me Voice.